Some people feel their hair is protein sensitive. Therefore they try to afford protein in their hair care products. If you use a hard protein treatment on your hair such as the aphogee 2 step treatment. Then you should watch the amount of protein in your other hair products. 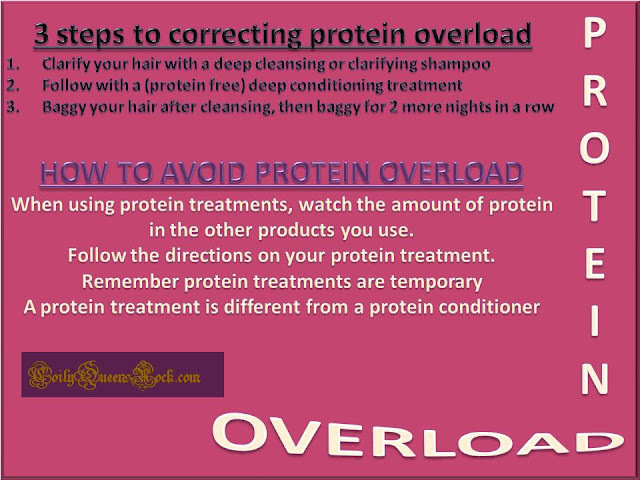 Doing so will keep you from creating a build up of protein on your hair. Think you have protein overload?